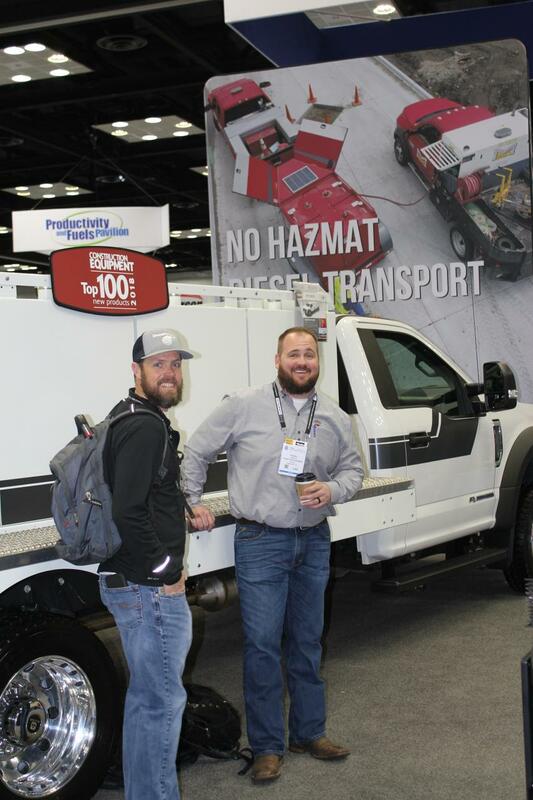 The National Truck Equipment Association held its Annual Work Truck Show in conjunction with the Green Truck Summit and Fleet Technical Congress on March 5 through 8 at the Indiana Convention Center in Indianapolis, Ind. A record 14,256 industry professionals from 28 countries attended the event, which opened with the Green Truck Summit, a two-day conference focused on new technologies and alternative fuels for commercial vehicles, and the Fleet Technical Congress, also a two-day event, which provided information on technology-based solutions for optimizing fleet management and operations. 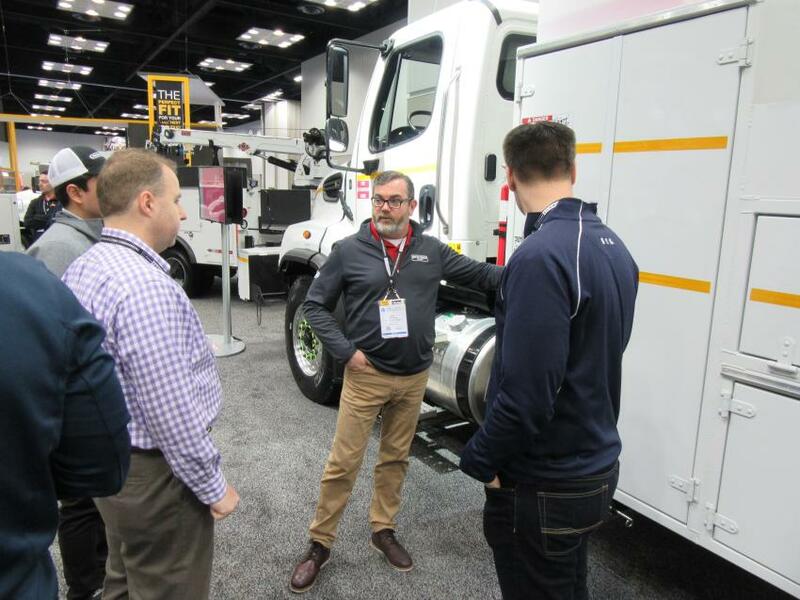 Additional educational sessions and learning opportunities were provided by the Manufacturer and Distributor Innovation Conference, a special session for Truck Equipment Upfitters and the Work Truck Show Ride & Drive, which gave attendees an opportunity to test-drive or ride in the newest vocational trucks. The trade show portion of the event covered more than 500,000 sq. ft. of exhibit hall space with more than 500 companies presenting the latest vocational trucks, vans, equipment, supplies and services geared toward all aspects of the work truck industry. 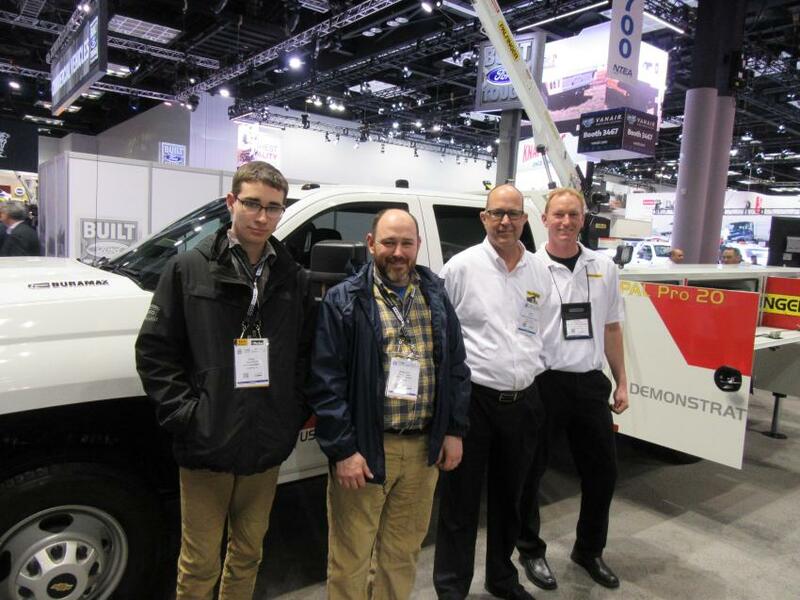 As in years past, this year's annual Work Truck Show, the 55th National Truck Equipment Association (NTEA) Convention, served as the launch pad for many of the industry's leading manufacturers to showcase the latest equipment introductions and product innovations. 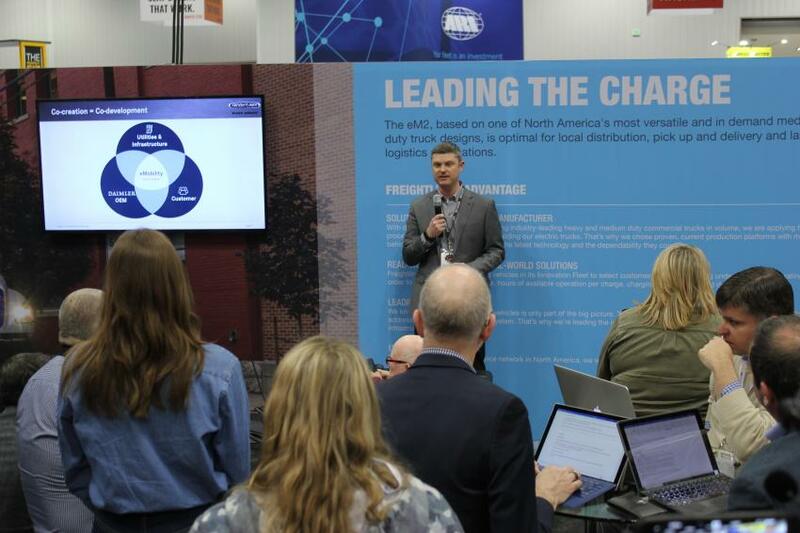 Focus on vocational trucks and transportation equipment from Classes 1 to 8, including chassis, bodies, components and accessories, the event attracted exhibitors and attendees from throughout the United States and Canada. 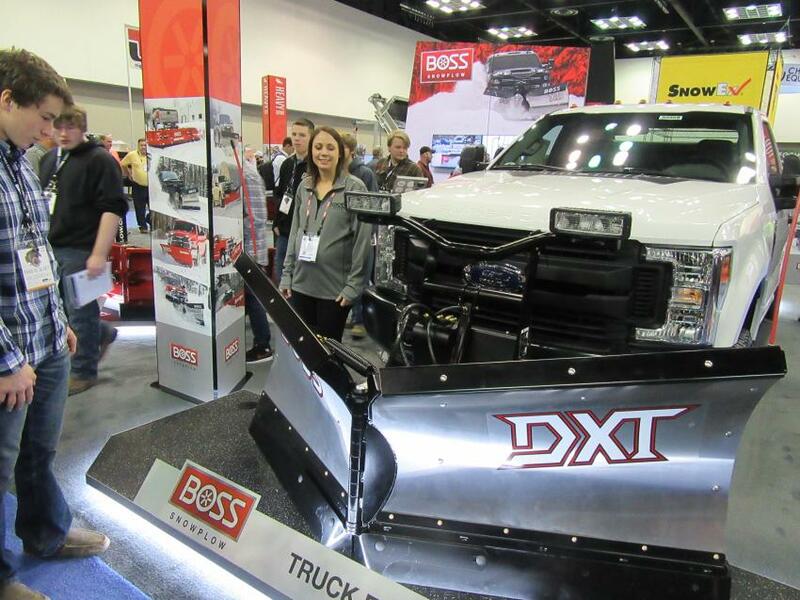 Having maxed out its traditional display space within Indiana Convention Center in Indianapolis, The Work Truck Show 2019 expanded to include a New Exhibitor Pavilion across the hall from the exhibit floor, as well as a section of the Hoosier Hallway dedicated to manufacturing technology displays and demonstrations. 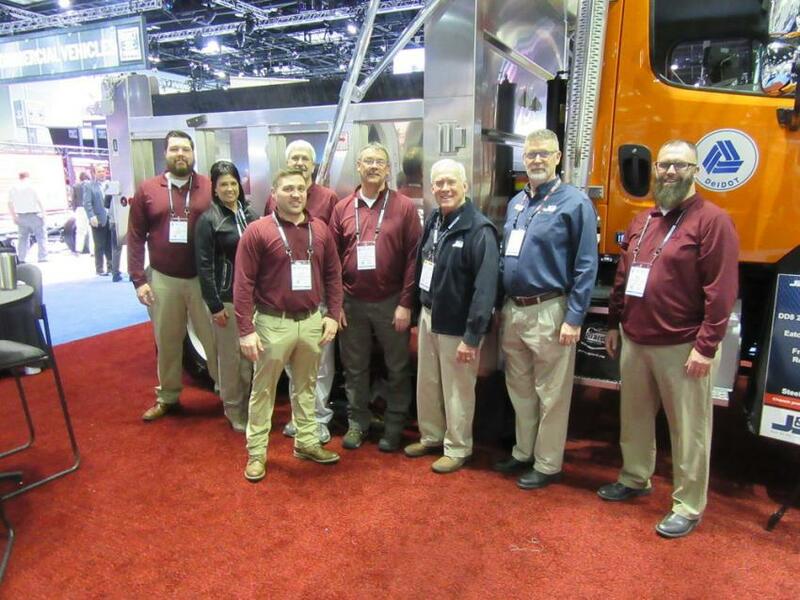 (L-R): J&J Truck Bodies & Trailers’ Ryan Young, Kim Stenger, Larry Faidley, Jason Cornell, Ed Lyons, Bill Riggs, David Spear, and Nate Weaver were ready to discuss the company’s lineup of dump bodies, trailers, service trucks and upfitting equipment, as well as the company’s custom fabrication capabilities at the show. Boss Snowplow’s Jen Strelcheck addresses a group of visiting high school students to discuss the company’s innovative lineup of snow and ice control equipment. 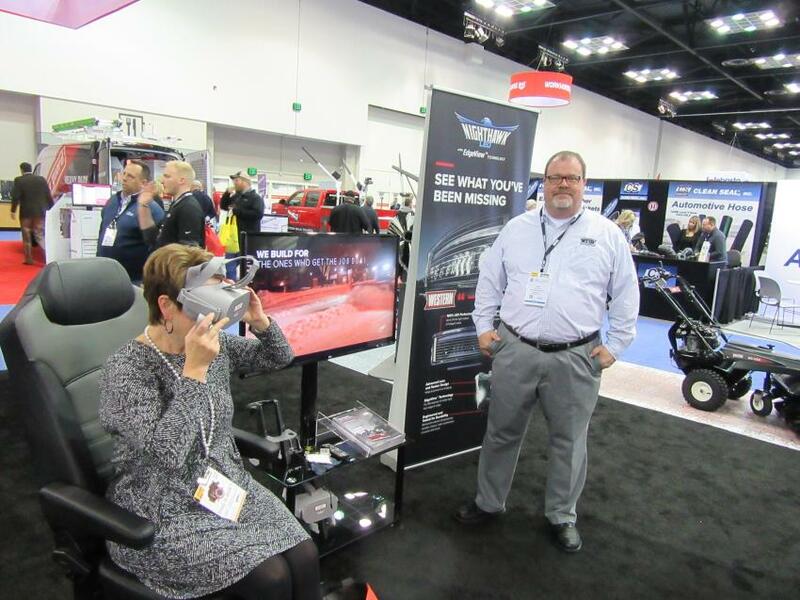 At the Western Product’s booth, Doug Clark oversees a virtual demonstration of the company’s all new Intensifire LED headlamps with exclusive EdgeView technology. 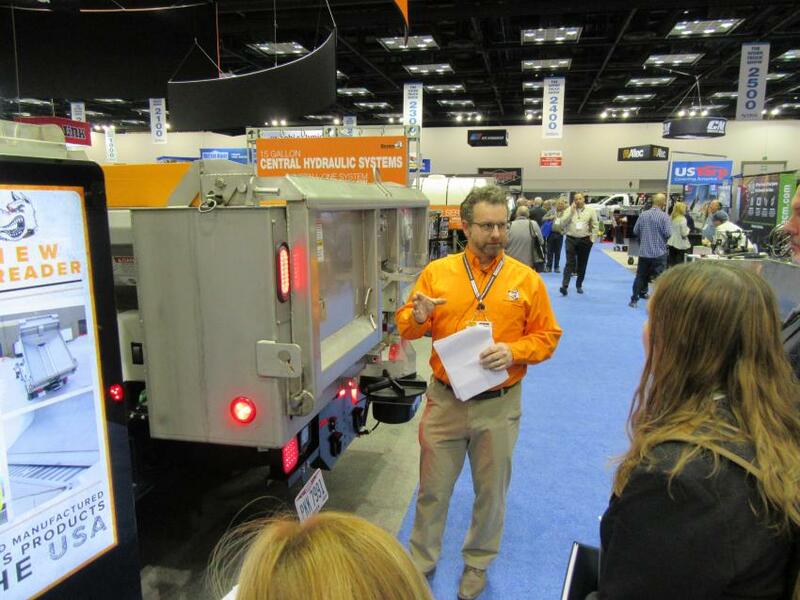 Eric Norman of Auto Truck Group talks with attendees about the company’s Kargo Master packages. 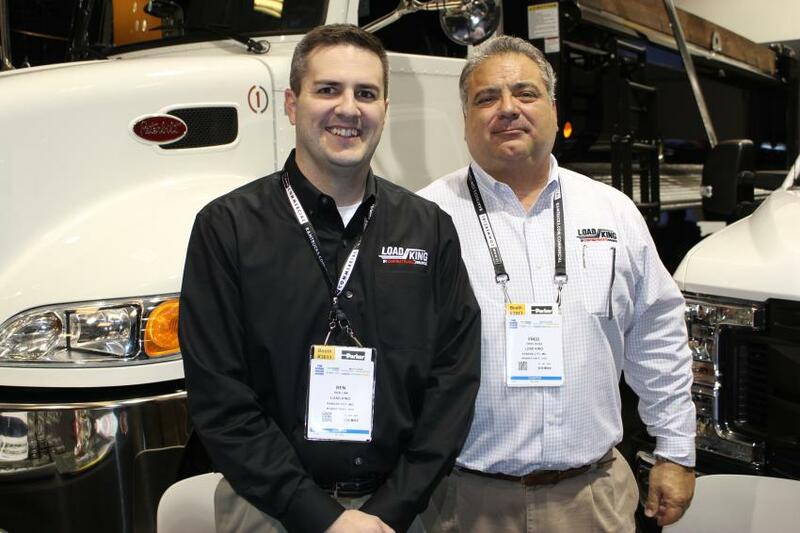 At the Load King booth at NTEA are Ben Link (L), executive vice president, and Fred Ross, CEO, both of Custom Truck One Source. Chris Tatro of Snowbridge Inc., Breckenridge, Colo., speaks with Steven Ile, Thunder Creek product specialist of Pella, Iowa, about the features on the MTU920. John Maurer, snow equipment sales of Michigan, Indiana and Ohio, is ready to talk about Hiniker’s newest product line addition — the VersaPlow. Greg Treinen,advanced technology marketing manager of Daimler Trucks/Freightliner Trucks, Portland, Ore., delivers his presentation on Freightliner’s eM2. At the Barko booth (L-R) are Randy McKenzie, owner of Quality Equipment, Lake City, Fla.; Andy Hanson, business development manager of Barko, Superior, Wis.; and Ryan McKenzie, Randy’s son, also of Quality Equipment, all talk about the Barko 80XLE, which comes with a standard premium seat and joystick controls. 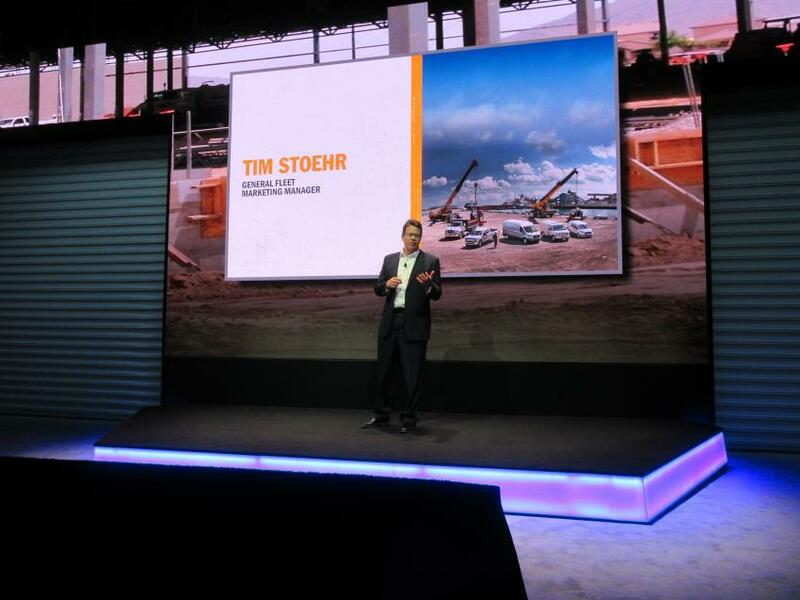 Ford Commercial Vehicles’ General Fleet Marketing Manager Tim Stoehr addressed the media during the company’s press announcements of its completely updated lineup, including new engines, new driver assist technologies, an all-new F-600 Super Duty truck and 2020 Transit full sized van. 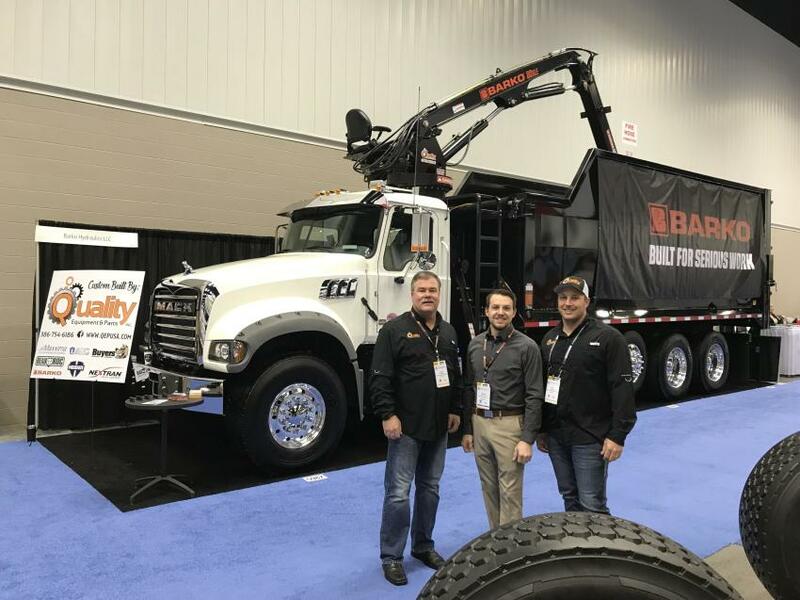 Father and son, Austin and Bradley Kinser of Rudd Equipment Company spoke with Omaha Standard Palfinger’s Keith Ball and Jason Mayberry about Rudd’s service fleet, which includes 10 Palfinger service vehicles. 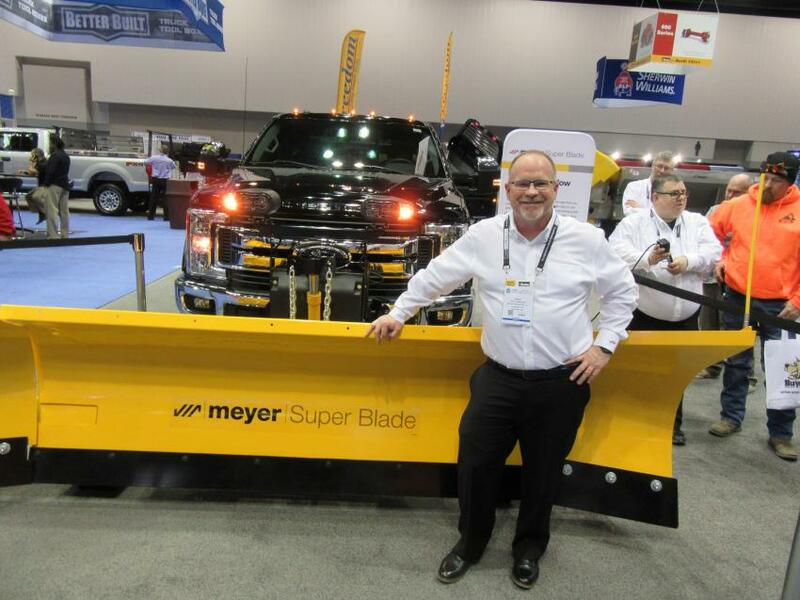 Greg Blankenheim of Meyer Products LLC was on hand to discuss his company’s new Super Blade expanding snowplow. 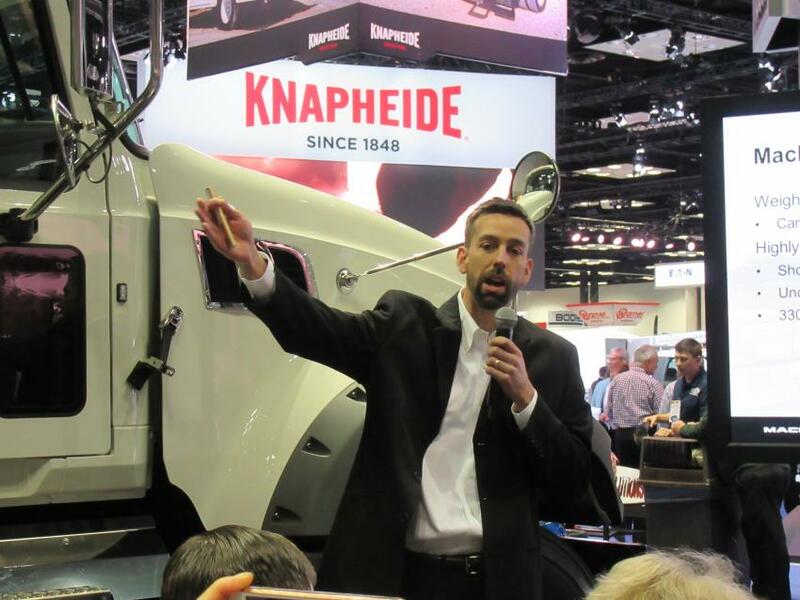 At Mack Truck’s press conference, Construction Product Manager Tim Wrinkle discussed the company’s factory-installed auxiliary axle options. 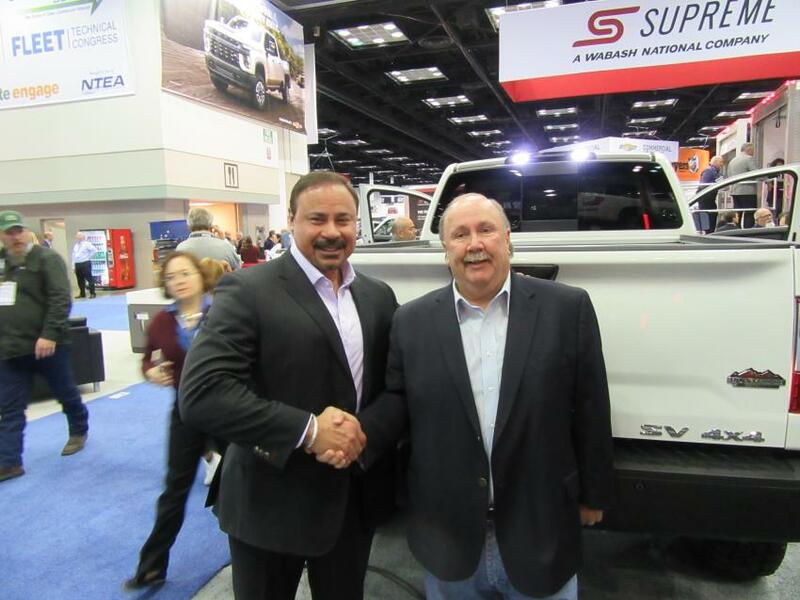 Fred DePerez (L), Nissan’s vice president, light commercial vehicles, and Rock Ridge Trucks CEO Burl Outlaw shake on their new agreement to offer Nissan trucks with Rock Ridge upfitted packages with matched warranties. 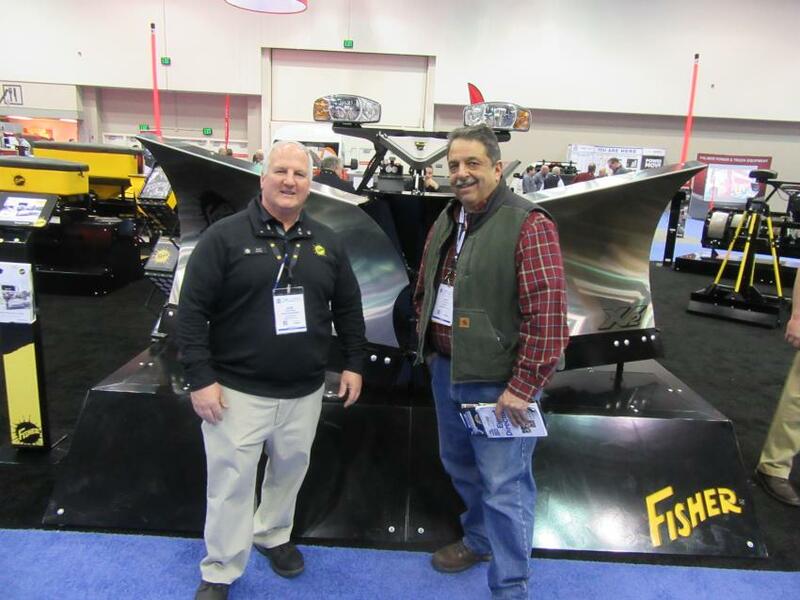 Fisher Engineering’s Norm Klimko (L) catches up with Dave Shirn of Shirns to discuss the company’s latest snow and ice maintenance equipment. 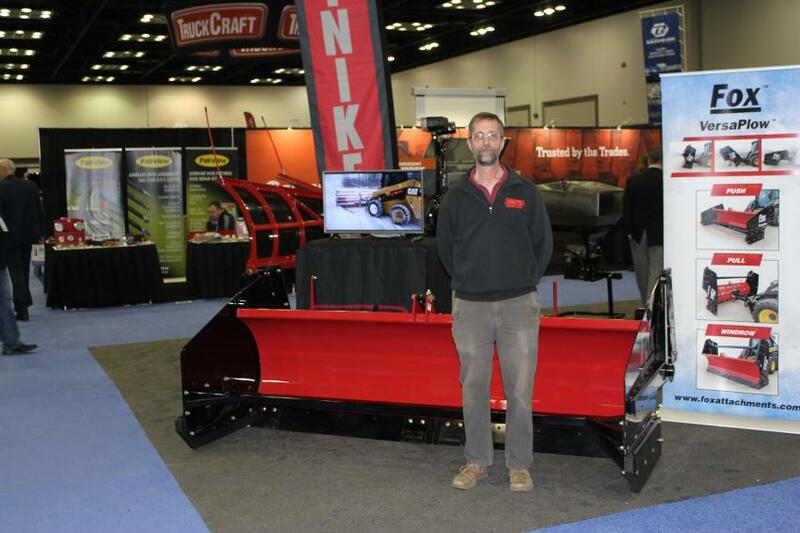 Buyers Products’ Scott Moorman reviewed a host of the company’s new product innovations, including the New SaltDogg medium-duty MDS combination dump spreader, a new series of expressway plows and a new municipal flex plow. 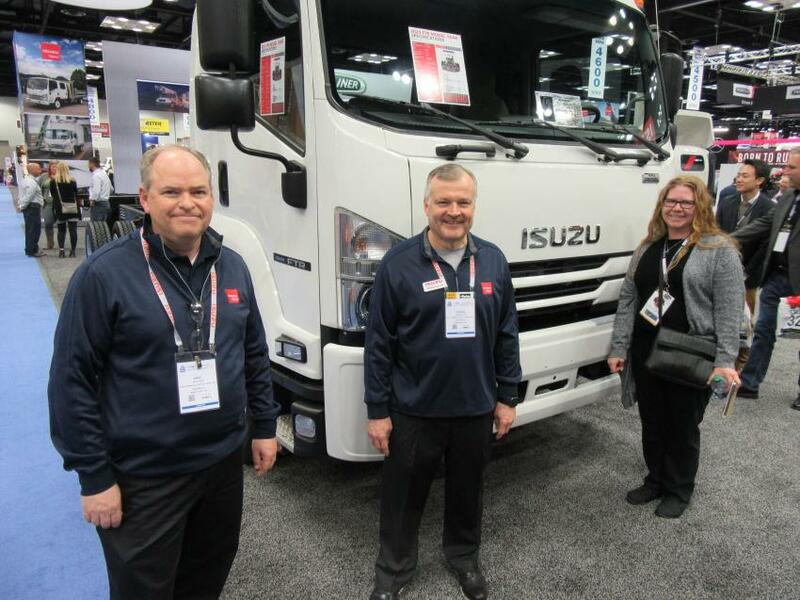 (L-R): Isuzu Commercial Truck of America’s Andy Craig, Vernon Allen and Cate Thompson discussed the company’s new 2020 Model FTR Class 6 low cab forward medium-duty truck.